Apple is launching not one, but two premium smartphones today, and the iPhone 6 Plus is the one many probably were skeptical even existed just a few short months ago. With a screen size measuring 5.5-inches across the diagonal, it’s well into the territory labeled “phablet” on the ancient sea charts of mariners who’ve braved the Android waters. However, Apple’s version of a smartphone that strains the inclusion of “phone” in any word describing it might surprise even those dead set against the trend toward ever-bigger mobile screens. The iPhone 6 Plus is literally an exaggerated version of the iPhone 6 in terms of its physical design, with dimensions stretched to accommodate its much larger 5.5-inch display. It’s 0.01-inches thicker, just under half-an inch wider, and just under an inch taller than the iPhone 6, and you’ll notice each of those increases in the hand, including the additional thickness, even if it is just a shade of difference. In terms of carrying and holding the device, the additional size makes for a less ‘perfect’ ergonomic quality, something the iPhone 6 definitely achieves, but there’s still lots to love about the industrial design of the 6 Plus. Like the iPhone 6, it benefits from rounded edges and smooth surfaces that recall the iPad mini and iPad Air. The curved sides make it easier to page back and forth through content with swipes, and it’s easy to imagine how a design with right angles would’ve resulted in an uncomfortable grip with a device this size. The screen is also the star here, and that 5.5-inch high res beauty is set off by thin side bezels, and top and bottom bezels that appear much smaller since they take up a far smaller percentage of the overall front surface of the device. Attention to detail is Apple’s forte, and that’s apparent in the way the volume keys, relocated power button (it’s on the right side now) and lock switch are all machined. Perforations including the speaker holes on the bottom right are similarly well-executed, and overall the sense you get of the iPhone 6 Plus is one of extreme high quality, which is not something that can be said for the rest of the ‘phablet’ field. Apple has managed to make the very first well-designed smartphone of epic scale, regardless of your thoughts on the merit of the category as a whole. The iPhone 6 Plus may be powering a much larger display, and it may need to output content at a higher resolution, but it’s not showing any additional strain vs. the iPhone 6 despite the extra legwork required. The 64-bit A8 process that Apple has designed, which uses a new, smaller and more power-efficient 20nm process, is more than up to the task of serving up animations, swipes, switches and multitasking for the 6 Plus. If you’re new to the world of iOS and iPhone, you’ll probably just note that the performance is excellent and move on. But if you’re upgrading from an older device, like perhaps the iPhone 4 or 4S, you’re going to instantly take note of just how speedy everything is with this new processor architecture. The screen sizes are stealing headlines, but the performance of the A8, in graphics-intensive applications and in rendering interface flourishes, means that you’ll be feeling the effects of Apple’s next-generation processor improvements long after people are used to the bigger displays. 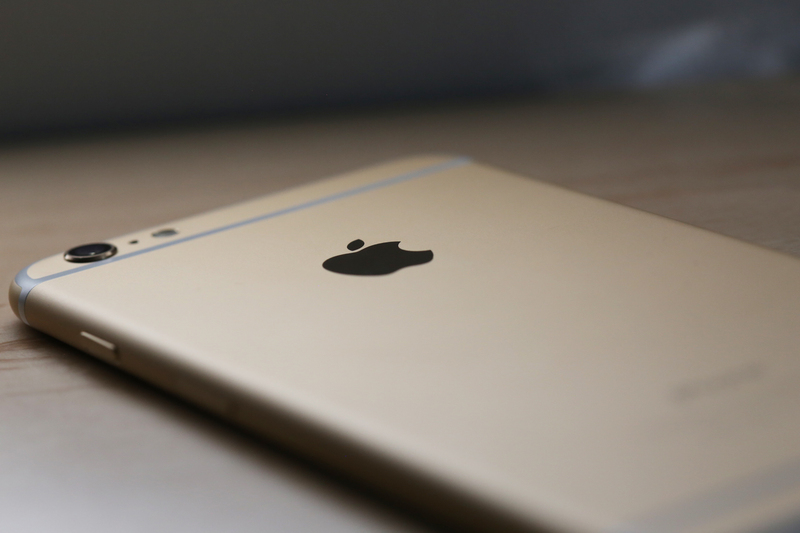 The iPhone 6 Plus, like the iPhone 6, also features faster wireless performance, on both cellular and Wi-Fi connections. The 802.11ac Wi-Fi felt blazingly fast when used on my home network, which is run from a current-generation Airport Extreme that supports the latest Wi-Fi speeds. LTE is now able to handle up to 150 mbps connections, where supported (and with 20 bands supported on a single model number, you’re more likely to find it works with carriers around the world). Apple has also worked with carriers to get LTE roaming working with more international carrier arrangements, and I found that my AT&T testing sim provided a strong Rogers LTE connection here in Canada. Apple has brought a number of great new features to both the iPhone 6 and the iPhone 6 Plus, including Apple Pay, which works as advertised in demos but will launch publicly in October in the U.S., and ‘Focus Pixels’ phase detection autofocus for faster, better picture taking. But there are a few featues that are specific to the iPhone 6 Plus that make it a device destined to appeal to both power users and everyday customers looking to simplify their life with a single gadget, instead of requiring both a tablet and phone (and even a computer). Reachability is the feature Apple created to help users deal with much larger devices, regardless of the size of their hands and digits. The iPhone 6 Plus leans on this especially, as it’s impossible for anyone not in the NBA to reach their thumb across to the top opposite corner. I find it difficult to even reach across the other side of the screen, let alone the corner, when one-handing the device. Reachability helps reach the stuff that’s in the top row, but it doesn’t bring down the status bar on the Home screen (it does in app), which would be helpful, and it’s still a stretch to reach the relocated opposite corner. For most tasks, I find the iPhone 6 Plus to be a two-handed device – but I also find that I’m absolutely fine with that. The 6 Plus is closer in usage style to an iPad mini, in my experience, albeit one that’s pocketable and capable of full cellular voice communications. Part of the reason that it works so well as a tablet-style gadget is that Apple has introduced special landscape support for both the homescreen and some its first-party apps, which really add to my ability to be productive using them. The apps in question include Mail, Messages and Calendar, and these now offer up overviews in a column on the left, and detail views on the right, much like they do on tablet or desktop devices. In Mail, it lets you quickly scroll through and triage your email without having to constantly swipe back and forth, and in Messages, it lets you keep abreast of the latest goings on in multiple conversations at once. Using these landscape views effectively almost requires two-handed use, but it ends up feeling well worth the trade-off. Apple has also introduced new optical image stabilization for still pictures to the iPhone 6 Plus, and the effects are very impressive. That’s something I’ll address in greater detail in the ‘Camera’ section below. The new Slow-Mo function captures action slowed down even further than before, and as you can see in the demo video above, that makes for some fun results. In particular, if you pay attention to the moments when Chelsea licks her lips in the video above, you can see just how good the new video feature is at capturing even blink-of-an-eye action in painstaking detail. 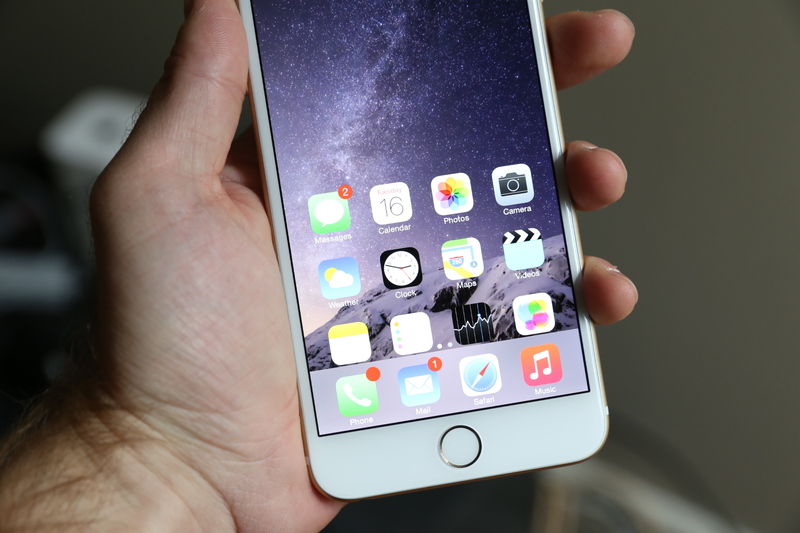 The iPhone 6 Plus has the best screen of any iPhone. It’s above that of either the iPhone 6 or 5s in terms of pixel density, and it’s capable of playing back full HD content in native resolution. The improved contrast and color rendering Apple has also worked into its screen tech is also even more obvious here than it is on the iPhone 6, and that results in a display that’s perfect for viewing photos or watching movies, as well as for showing off well-designed apps and software. By the numbers, the iPhone 6 Plus’ display offers 88 percent more viewing area that the iPhone 5s, but at a cost of just 55 percent more volume. That means that while it’s very big, it’s not nearly as gigantic as if they’d just increased the proportions of the 5s. The screen trade-offs have real benefits for certain kinds of users beyond just enabling landscape mode, too – with Display Zoom, all interface elements suddenly become easier to read even for those with age-related vision loss, and that’s going to be a big selling point. I showed my mother both phones and she was instantly drawn to the larger display of the 6 Plus. For these users, too, the 6 Plus can represent a single-device computing solution; it replicates much of the functionality of a tablet, with additional portability, and if you don’t do much beyond browsing the web, or interacting with the rich field of current apps, you’ll be better-served by this with its always-on connectivity than you would by even the combo of a smaller phone and a Chromebook, for instance. Apple’s other big selling point here, besides the advantages of a larger display, is the improved camera. Thanks to extra space inside the iPhone 6 Plus, it managed to fit in an optical image stabilization module, which can actually shift the camera lens around both vertically and horizontally to capture a clear image free of the camera shake that can afflict photos taken freehand. And the optical stabilization, in addition to the software-based stabilization Apple already uses in its iPhone camera, results in a photo-taking experience like no other. As you can see, it works great both indoors and out, and produces some of the best looking low light photos I’ve seen out of a mobile device. The iPhone 6 Plus image stabilization results in pictures that look crisp even when captured casually, and Apple’s new autofocus tricks mean there’s almost no waiting before a scene is properly focused and exposed, with as little manual intervention as possible. You can still manually adjust the point of focus and exposure, but the camera is smart enough that in most cases, you shouldn’t have to. Apple’s video recording stabilization means you can stroll and shoot with results that aren’t debilitating to watch, and that’s a big plus. The optical image stabilization works for still images only, but software-based anti-shake is in action in the clip above, and it helps make the iPhone’s movie capture another highlight of the overall camera package. The iPhone 6 Plus has another trick up its sleeve, aside from the optical image stabilization and the landscape orientation bonuses: Better battery life. The improved powerhouse on the 6 Plus affords it a full 10 hours more talk time compared to the iPhone 6, plus an additional 6 days of standby time (16 in total), as well as 2 more hours of browsing on 3G and LTE. It’s a trick that, with mixed use, resulted in at least a full day of extra use over the iPhone 6 in my testing, which could stretch to even longer if I used it only sparingly. During one cycle, where I used my phone only a few times a day to check calls, weather and messages, I got over three days of standby time and nearly 11 hours of use. This alone might be enough reason to get people to opt for the 6 Plus over the 6, and it definitely helps increase the overall appeal of Apple’s big phone. Accustomed as I am to using my phone during the day and plugging it in when I get home in the evening, however, it’s not as great of concern – but already there have been a few times when an extended lack of readily available outlets have shown the merits of the 6 Plus and its capacious power core. The iPhone 6 is still the best smartphone for your money in my opinion, owing mostly to the fact that the majority of people are going to feel most comfortable using a smaller device as their daily companion of choice. But the iPhone 6 Plus surprised me: I went into this review expecting to find it was a niche gadget, reserved for those seeking the absolute top-of-the-line, convenience be damned. Instead, I found myself getting strangely comfortable with a phone I still find difficult to use one-handed. 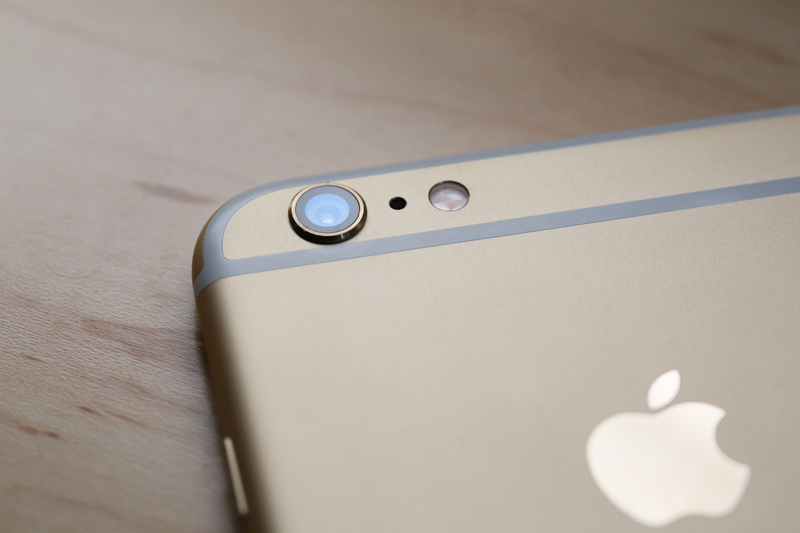 In short, the 6 is my favorite current smartphone, but the 6 Plus is its closest competition. I suspect we’ll see the trade-offs Apple has made in building a phone on this scale downplayed further by the introduction of the Apple Watch next year, as it means the iPhone 6 Plus can stay in the pocket for small things like seeing a message or figuring out why it just vibrated to indicate some kind of inbound notification. Even know, it’s a device well worth your consideration, and if you’re thinking about which to purchase, you should consider how much you value: 1) The ability to more easily manage communications from your pocket; 2) Having energy reserves at the end of the day; 3) Putting the best possible mobile camera in your pocket; or 4) Replacing up to three devices with just one for casual users. 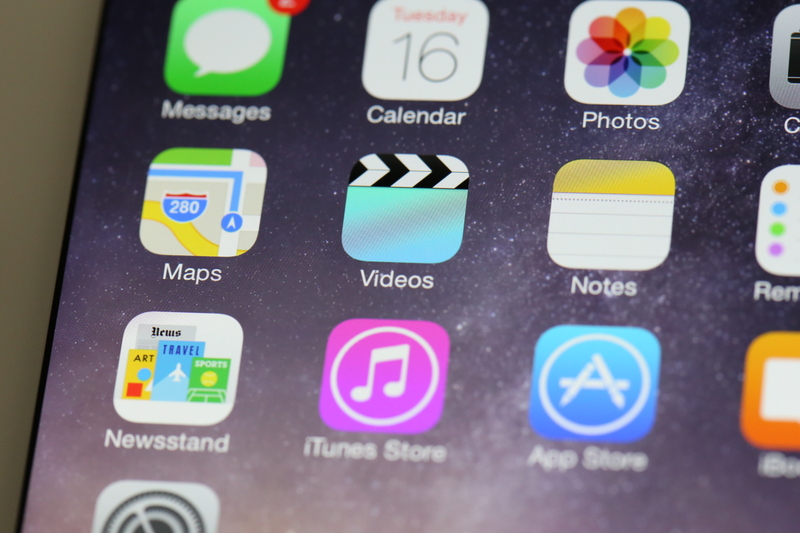 If you rate any of these things as high priority, then the 6 Plus might be the better choice.